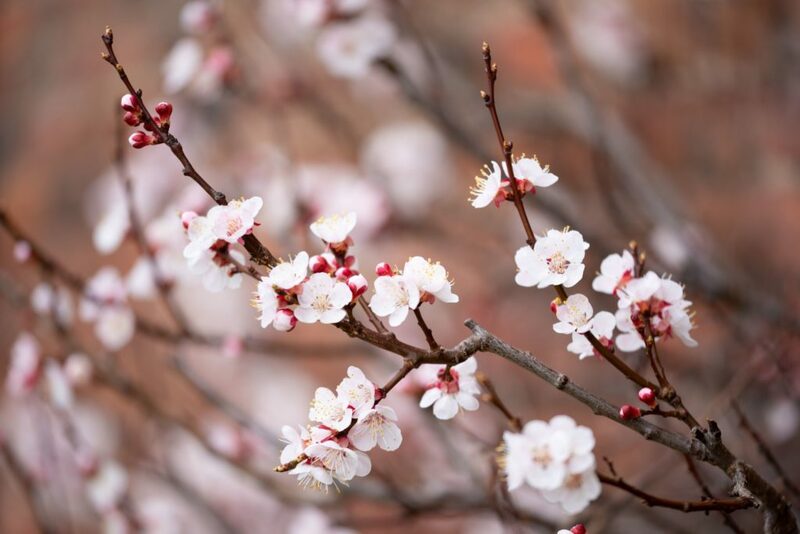 It looks as though spring has sprung early this year, our apricot trees came into flower almost six weeks earlier than last year and we’ve already enjoyed a spectacular display from the crocus. The buds on the apple and pear trees are on the brink of bursting and we’ve already seen the first plum blossom. 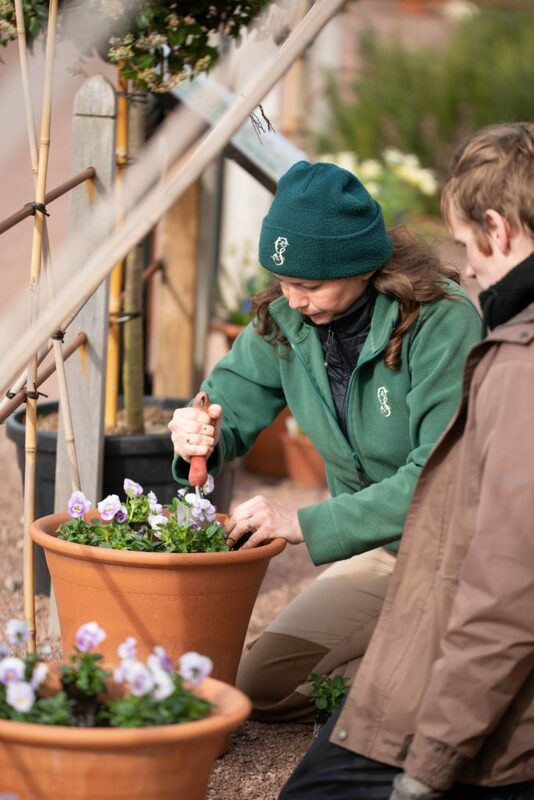 It’s a lovely time to work in the walled garden, not least because our seasonal gardeners have returned after the winter and the garden is starting to come back into life. The soil has been turned, the trees have been pruned and the planning completed, we all set for the season ahead. Seed sowing has begun in earnest, starting with hardy annuals such as sweet peas, nigella and cornflower, and then continuing with the first successions of vegetables; broad beans, peas and beetroot started are soon to be followed by tomatoes, chillies, aubergine and countless others. 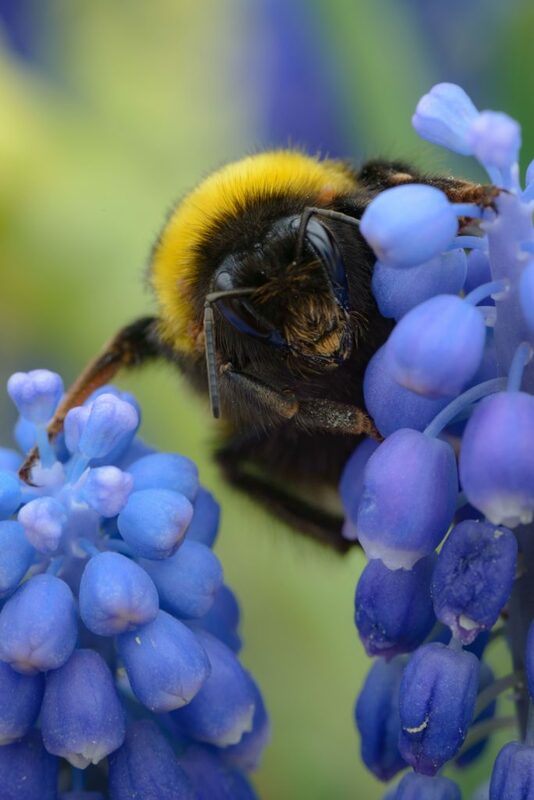 We’ve already seen the first bumble bees and butterflies, buff tailed and peacock respectively, and so we’re hoping our fruit trees will be well pollinated this year and give a decent crop. 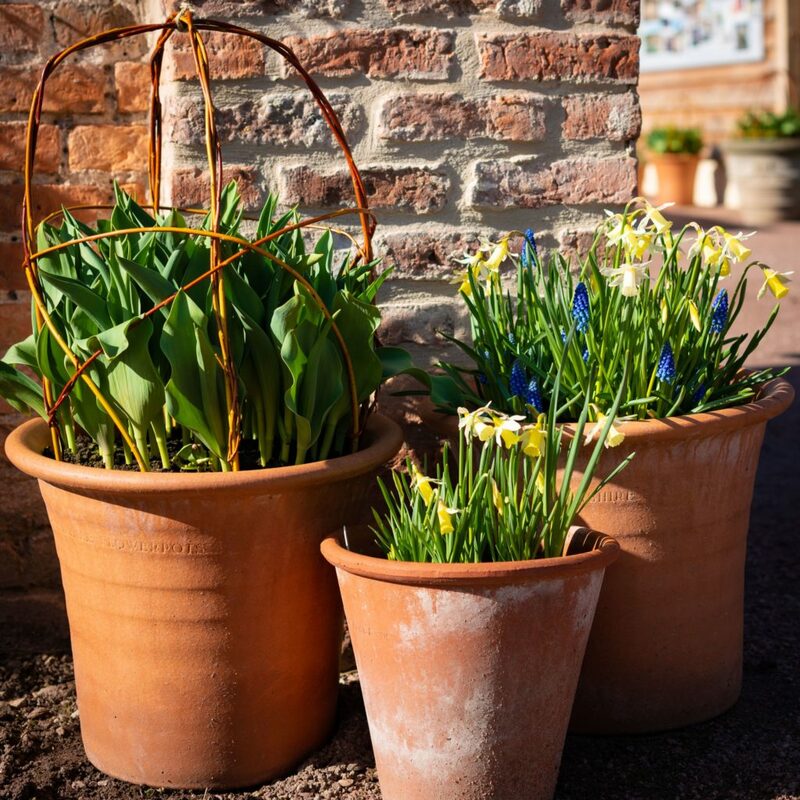 The spring pots have been taken out of the glasshouses to decorate the patio and around the shop. Unusually our daffodils and tulips are coming into flower at the same time this spring and so the display should look particularly spectacular this year! I’ve given up trying to predict the weather, an early warm spell in February gave way to yet another cold snap in March, and now it seems to be warming up again. The soil is still slightly too cold to start direct sowing, but in just a couple of weeks we’ll begin filling up the salad beds and the potatoes will go in very shortly. The cut flower beds should be better than ever this year, we’ve been busy planting dozens of perennial plants; Echinacea, Agapanthus, Liatris, and Phlox to name just a few. We have a range of over 80 varieties of fresh cut flowers available to both professional and amateur florists alike, starting with 14 different tulips varieties that should be flowering from the start of April. Please drop in or check our website for more details. 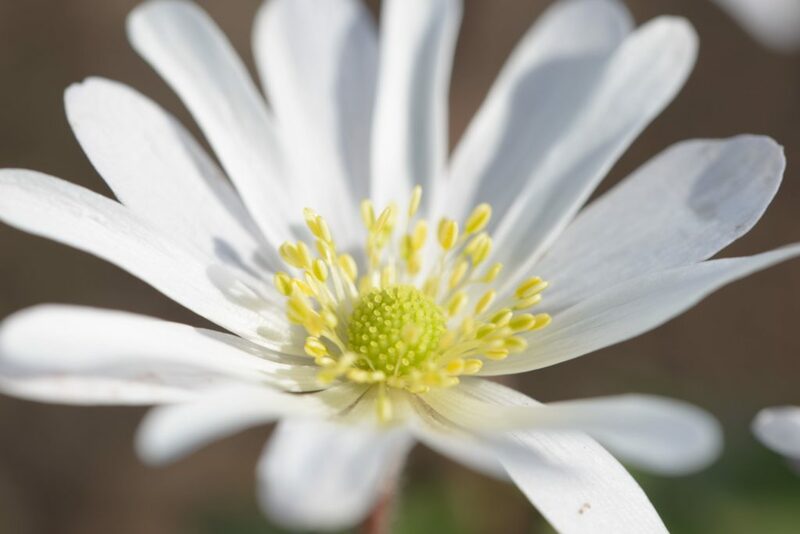 I’d like to say a big thank you to our volunteers for all of their hard work over the winter and for the help they’ll be giving us over the next few months. 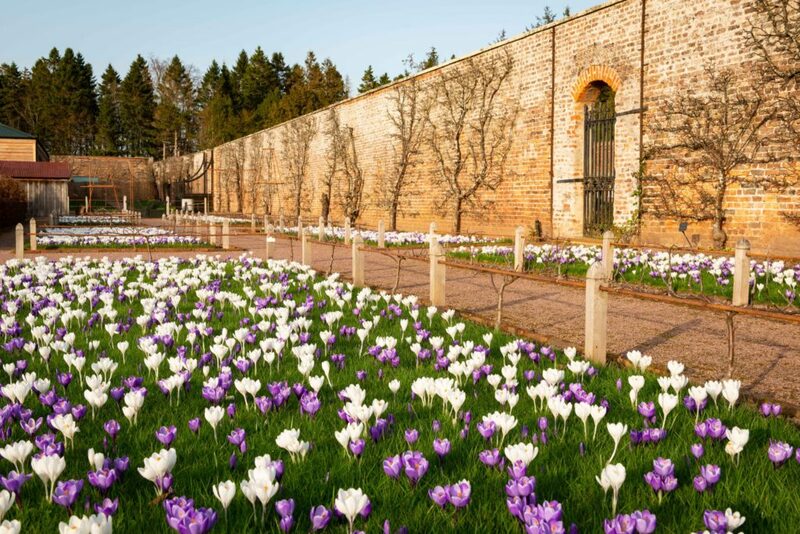 Any productive garden is hugely labor intensive, particularly on such a grand scale as the Walled Garden at Gordon Castle; in its heyday 40 gardeners would have tended the grounds and estate. Today the only way we can keep the garden neat and tidy is with the help of our dedicated volunteers, so thank you all very much, we couldn’t do it without you!